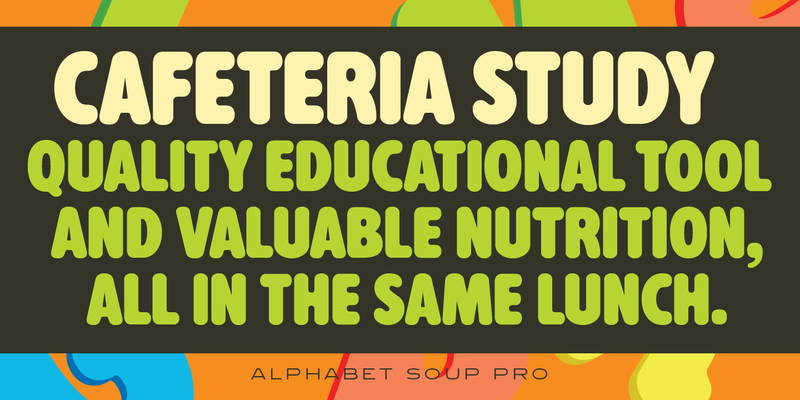 Alphabet Soup Pro is a rounded sans serif typeface. It was designed and produced by Steve Jackaman (ITF) in 2010. In the early 1980s, Jackaman worked at Typographic House in Boston, Massachusetts. At the time, ‘Typo’ House, as it was affectionately known, was the largest type house in New England. 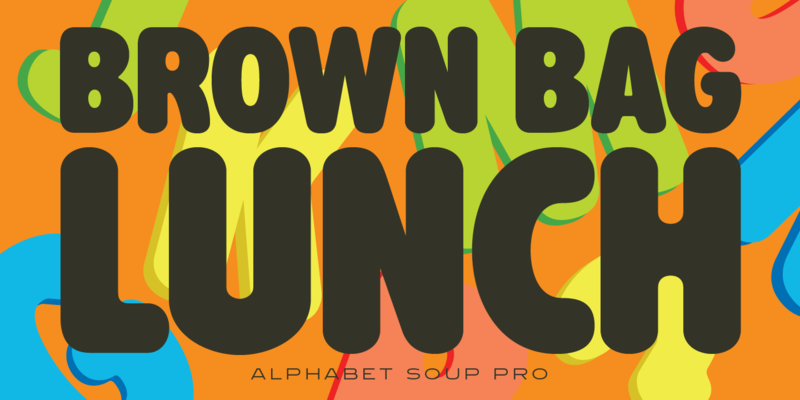 The base typeface, called TH Alphabet Soup, was designed and produced during his tenure. It was so popular that the typeface became available commercially through Visual Graphics Corporation (VGC). 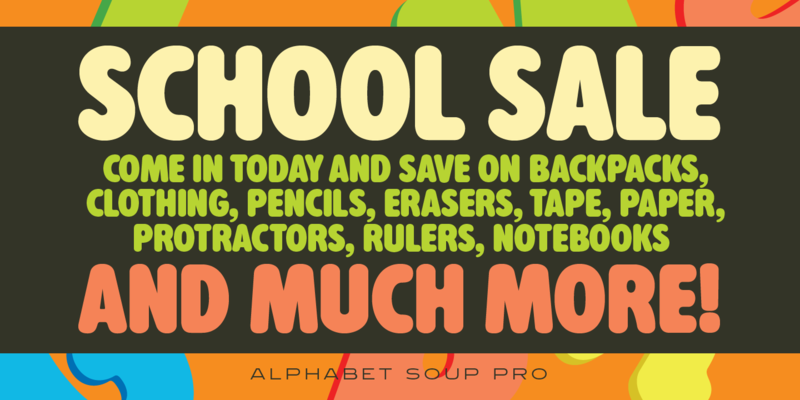 Alphabet Soup Pro is a trademark of International TypeFounders, Inc.
©2005, ©2010. International TypeFounders, Inc.